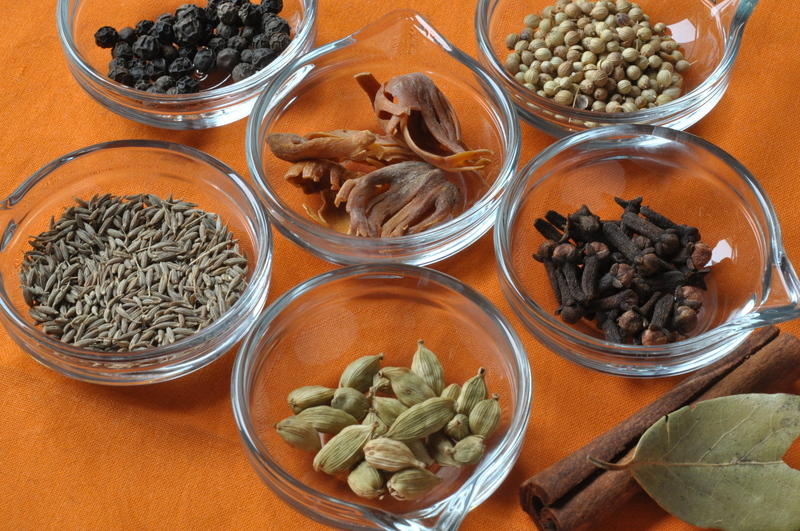 Garam masala means warm or hot spice mix and is a blend of spices used extensively in Indian cooking. There are many variations of garam masala as there are cooks and this depends on taste, the recipe being prepared and the region. Sometimes garam masala is referred to as a finishing spice and can be sprinkled over the surface of a finished dish just before serving or added towards the end of cooking, enhancing the dishes fragrance and flavour. Also this spice mixture (whole or ground) can be added to recipes at the beginning stages of cooking. Making a visit to the souk (spice section) in Manama, I managed to stock up on some whole spices, some of which will be used to make a fairly basic garam masala which I use when cooking Dhal Makhani... which happens to be one of my favourite Indian dishes! 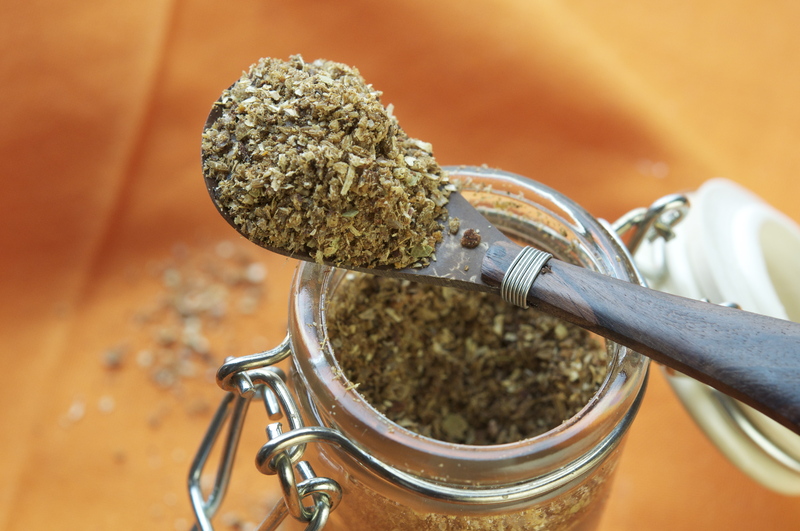 Usually I grind small batches of the whole spices using my electric spice grinder which does the job, although not as finely ground as shop bought! 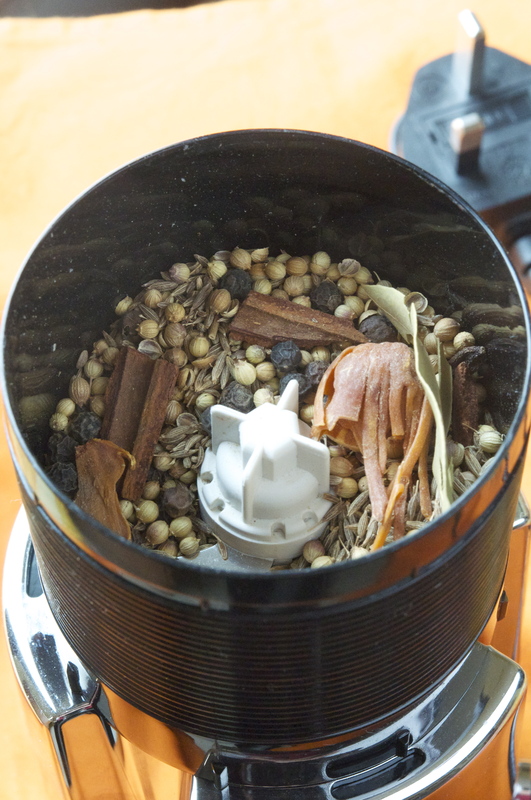 An electric coffee grinder can also be used, solely for the purpose of grinding whole spices… unless you are happy to consume spiced ground coffee! Bahrain’s shops, supermarket’s and souk’s are stocked with a huge array of ground spices and spice mixes (which I buy at times) and that means never needing to grind another spice! However, grinding whole spices at home will provide maximum freshness, bringing the aroma and flavour of the spices to another level! Heat a heavy-based frying pan over moderate heat and lightly roast each spice (except the bay leaf) seperately, moving the frying pan around until the spice releases a fragrant aroma, this does not take long, about 30 seconds. Immediately transfer the roasted spice onto a cold plate. Grind all the cooled spices plus the bay leaf in an electric spice grinder or coffee grinder and store in an airtight container. Note: After dry roasting the cinnamon stick and blades of mace, break them up into smaller pieces using a pestle and mortar! Your spice grinder or coffee grinder will thank you for this! Also tear up the bay leaf. If you are not a big cardamom fan, break open the pods and use only the seeds. If you can’t find mace blades use 1 whole nutmeg instead, break into chunks before dry roasting. To dry roast or not to dry roast! I guess that depends on the recipe in question and may also be a preference! I tend to dry roast the whole spices if I am going to use the ground garam masala towards the end of cooking! Storage: Spices are best kept in airtight containers away from direct heat and sunlight. The recommended keeping time for ground spices and whole spices varies, with ground spices loosing their potency faster than whole spices! 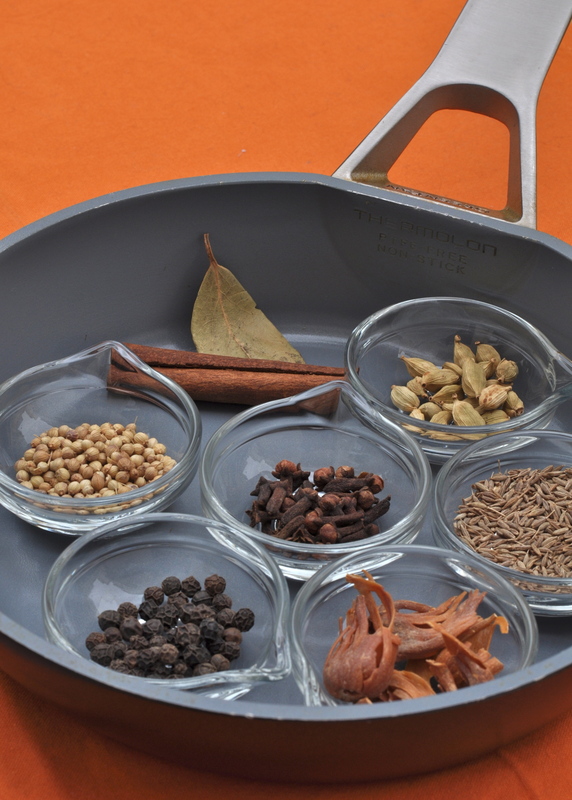 Let your nose, eyes and taste be the judge when checking the freshness of your spices! It is always best to buy small quantities of spices and replenish often. Do you make up your own spice blends? Do you have any thoughts on dry roasting spices? As I do not own a spice grinder I buy ground spices from the supermarkets. But I have used my pestle and mortar every now and then to crush some whole spices! Usually I follow the recipe regarding roasting the spices! A pestle and mortar is fine when using small amounts of whole spices but is much harder work… all that pounding and bashing can be very therapeutic at times!